Trixie is a 3 year old American Bulldog cross who is looking for a new home after a change in the personal circumstances of her owners. She is good with children and other dogs, but is not suitable for a home with resident cats as she tends to chase them. 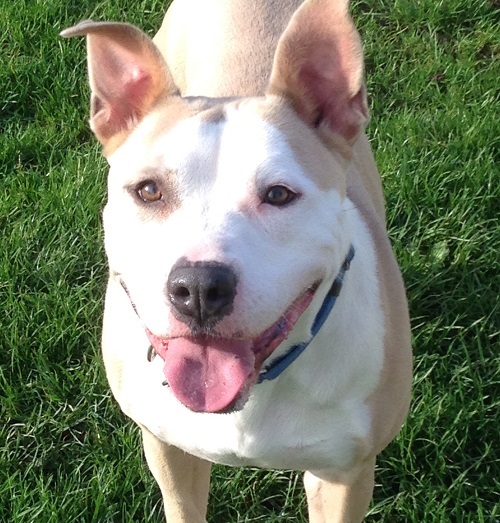 Trixie has a really lovely temperament, but is quite strong on the lead so needs someone who is able to hold on to her. To find out more about adopting Trixie, please call Wadars on 01903 247111.